Tax Agility’s personal tax return service for people living in the Richmond area of London recognises that while its population may be getting older, its population is also living longer too and that has implications for personal wealth, investments and of course, self-assessment tax returns. 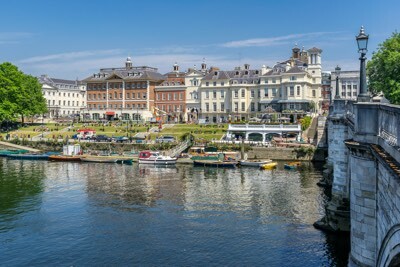 Did you know that in a recent ONS (Office of National Statistics) survey showed that Richmond residents had the highest “health life expectancy” in Britain? It is expected that by 2021 the proportion of residents over 60 will increase by more than 18%. Thant means a lot more people either retiring or looking to maintain an income to support their lifestyles. The diversity of opportunities for people who may have left mainstream employment, either to retire and live off a pension or as is often the case, to provide incremental income, is staggering. Small businesses are being created with increasing regularity as people with more time on their hands find ways to keep busy and earn residual income. Naturally, personal tax planning and the inevitable self-assessment personal tax returns, come into sharp focus. As a retiree and certainly, if you’ve had to prepare your own self-assessment tax returns in the past, you’ll need to keep doing this. If you’ve always had your tax deducted at source, then you may have never completed a self-assessment form, unless you have had alternative sources of income. It’s not just Richmond retirees who need to consider their tax position and tax reporting, there are plenty of business owners and other hard-working people who may encounter the need to complete a self-assessment tax return. More and more actively working people are looking to enhance their disposable cash position by engaging in small business opportunities, particularly internet businesses. For the residents of Richmond, our personal tax return service can help remove the burden and worries of an increasingly complex and detailed focused tax environment. Never forget that we are working to improve your tax situation. We are always on the lookout for ways to help reduce your personal tax burden and, of course, to reduce the pain and inconvenience of completing the self-assessment form paperwork. The convenience of a local Tax Agility office where, if needed, you can pop in and meet with one of our personal tax professionals.